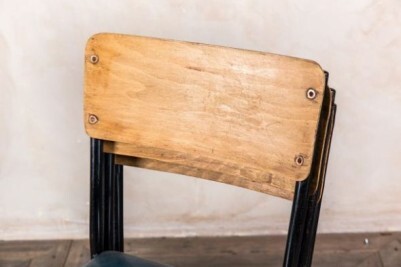 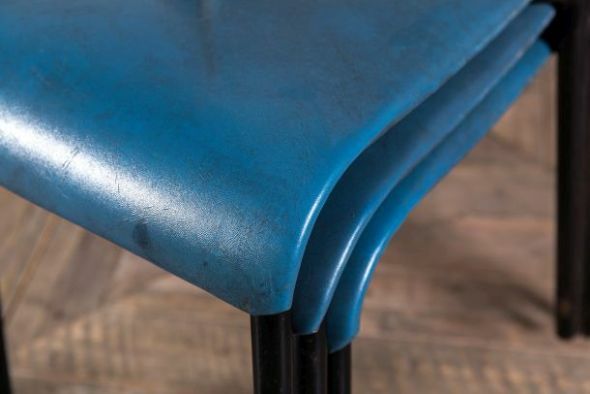 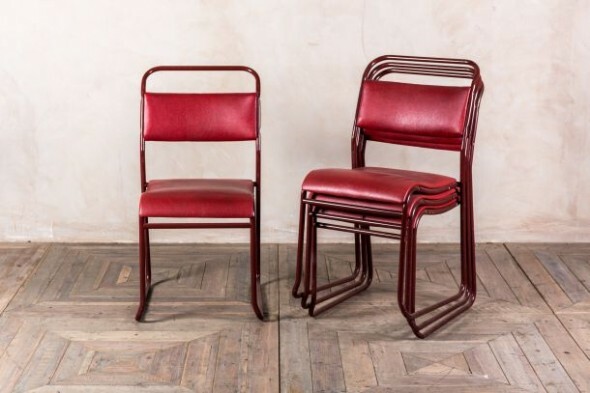 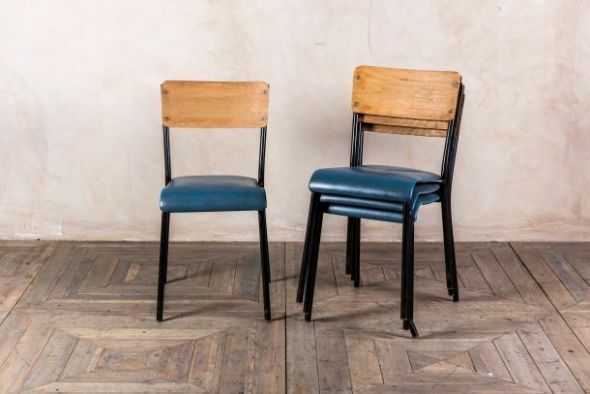 Full of vintage charm and very versatile, these blue retro school chairs are perfect for any vintage or industrial inspired interior. 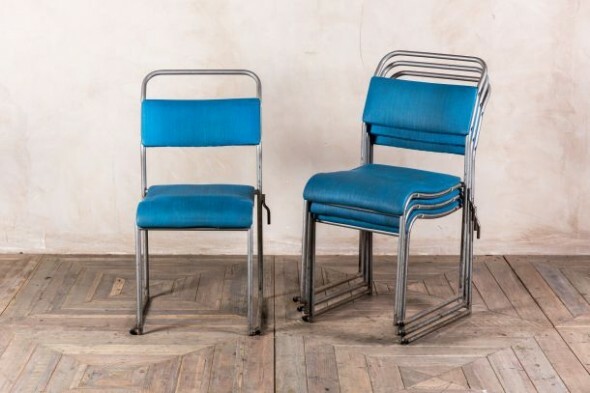 Stacking to save space when not in use, these chairs make cleaning easy and are perfect to have around as spare seating in food establishments for bringing out at busy times. 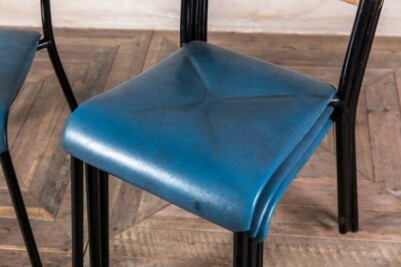 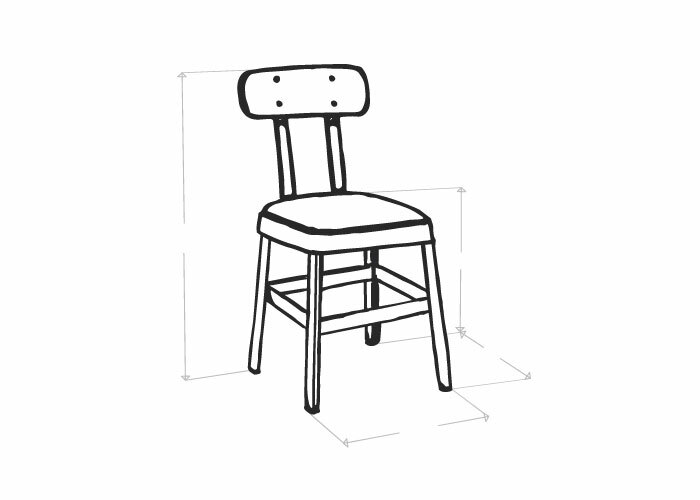 Each chair features straight, black metal legs, a plywood back rest and a blue upholstered seat. 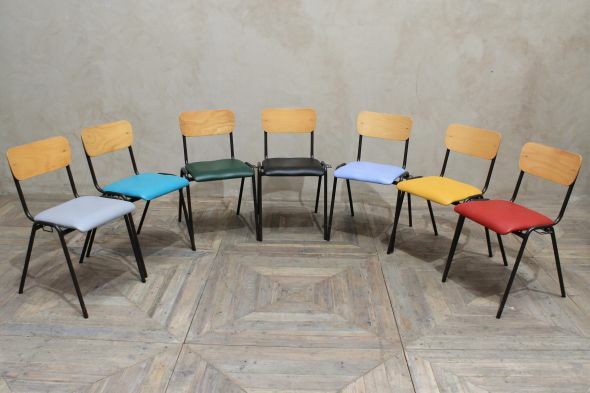 The seat makes them ideal for adding a pop of colour to any cafe, bar or office. 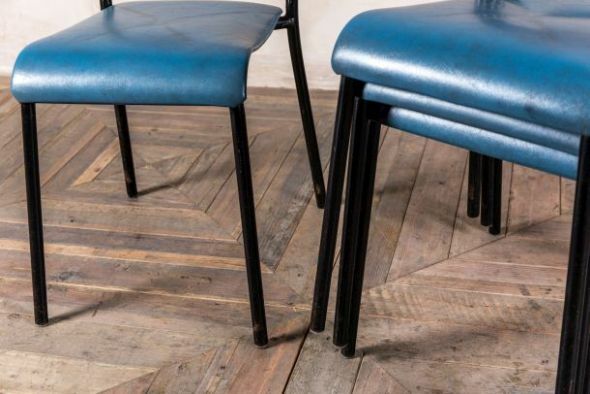 As these chairs are original vintage items, they will have some signs of wear and tear, however we feel that this only enhances their charm.